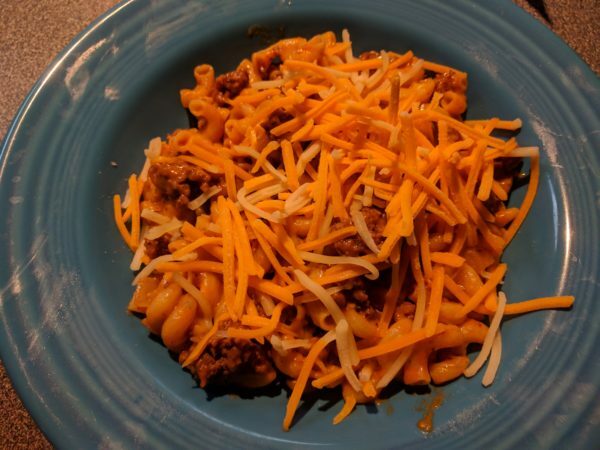 This is a gluten free version of the popular box mix of Hamburger Helper Cheeseburger Macaroni without the chemicals, but still very quick and easy! 2 cups sharp cheddar cheese 8 oz. 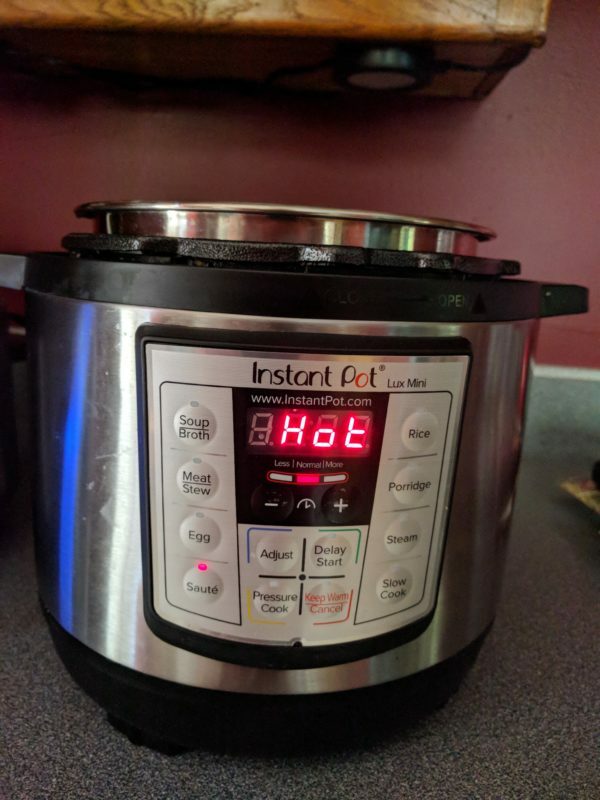 Set Instant Pot to saute. When it says HOT, add oil. 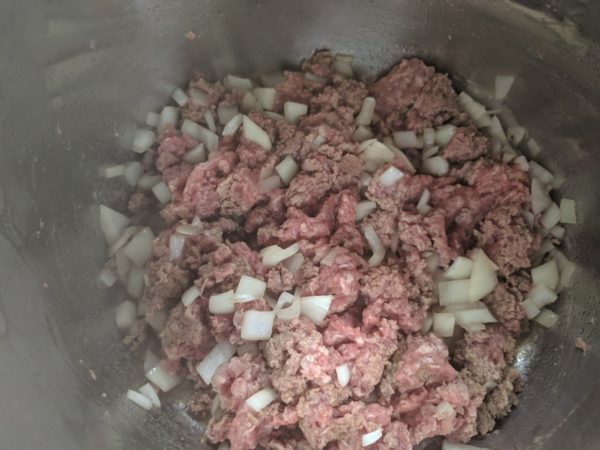 Add ground beef, onions and garlic to pot. Cook until meat is browned, stirring to break up meat. Season with salt, pepper, thyme and Worcestershire sauce as it is cooking. Add tomato paste, water and beef base. Stir to scrape up any bits stuck to the bottom of the pot. Add elbows. Press cancel to stop Saute. Lock lid in place and seal valve. Cook on high pressure for 4 minutes. (Cook time may vary with the kind of pasta you choose to use). Quick release the pressure. 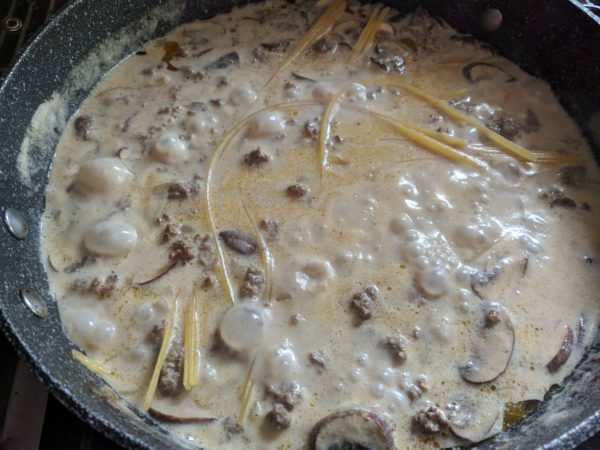 Stir in half of the cheese. Serve remaining cheese on the side. 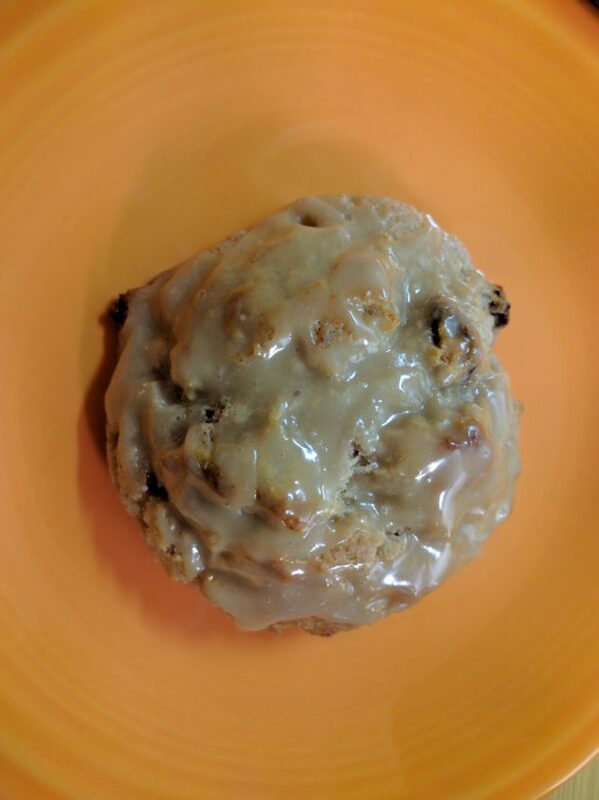 These actually have more the consistency of muffins, but they are wonderful, regardless! 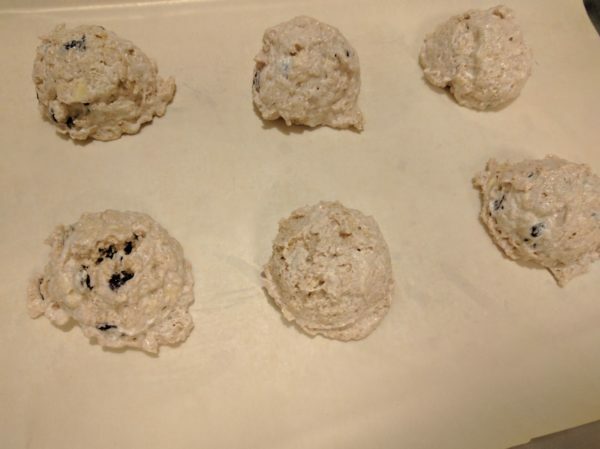 I make them for me and our grandsons with raisins, but substitute chocolate chips for the raisins for my husband. If you are using a baking stone, place that in the oven. Preheat oven to 450 degrees. In large mixing bowl, combine flour, sugar, baking powder, cinnamon, salt, and baking soda. Cut in butter. 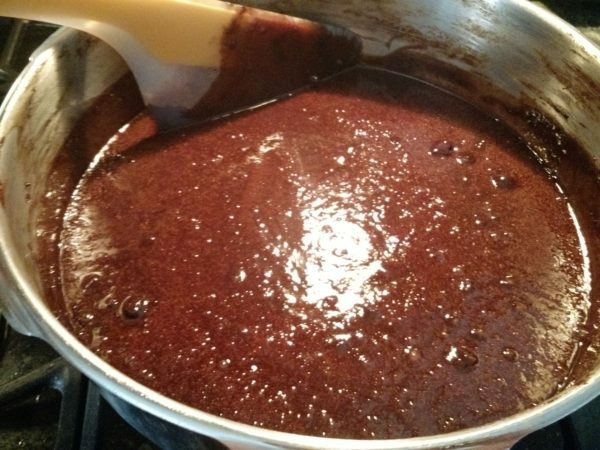 You can make up a large batch and store it at this point, in the freezer or refrigerator. Add sour cream, milk and raisins or chocolate chips, stirring just until combined. If you are not using a baking stone, line the cookie sheet with parchment paper. Scoop out onto baking sheet (I use a 2 oz. scoop). Bake for 12 minutes. Cool slightly, then drizzle with glaze. This will make 11-12 mini muffins. Just use a 1 oz. scoop and bake in the mini muffin maker for 5 minutes. The biscuit ingredients before adding the milk, sour cream, and raisins or chocolate chips measures 1 3/4 cups and weighs about 236 grams, so if you want to, you can mix up a big batch of the flour mixture, store in the refrigerator or freezer, then measure out just what you need and continue with the recipe. This was always a favorite of mine as we were growing up. It is kind of like a thick cream of potato soup. I like to make this for my lunch sometimes. Put about 2 cups of water into a medium sized saucepan and bring to a boil over high heat. 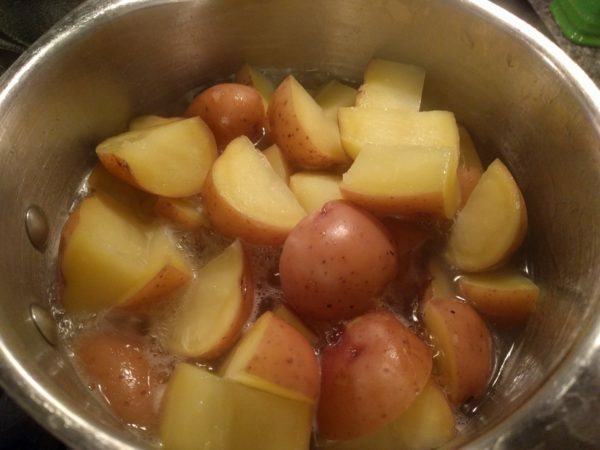 Boil until potatoes are tender. Drain potatoes. Meanwhile, in a small saucepan, melt butter over medium heat. Add flour and stir until smooth. Add onion powder, garlic powder, salt, pepper, milk and heavy cream, and continue stirring until thickened to desired consistency and smooth. 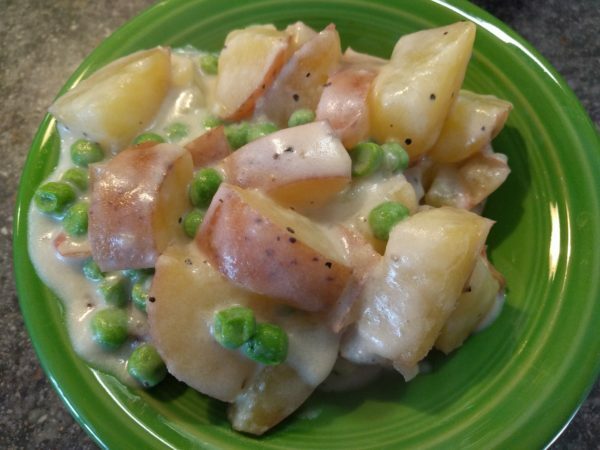 Add to peas and cream sauce to potatoes. Stir together and serve. These are super easy and chocolatey! When I take them to get-togethers with other choices of cookies, these always go first! This is a classic recipe with a lot of variations. But this is the way I make them. 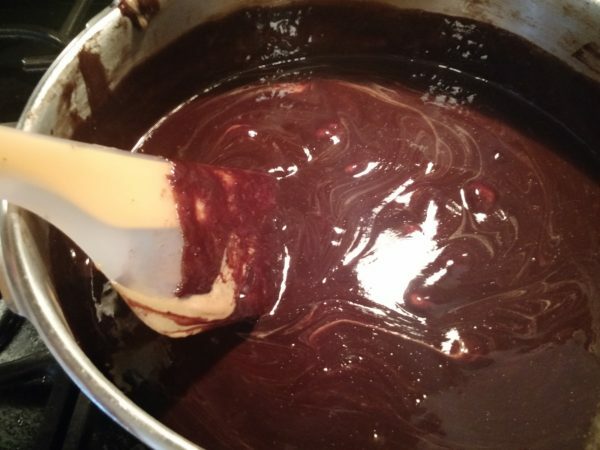 Combine sugar, cocoa, milk, butter and salt in large saucepan. Bring to a boil and cover saucepan for 30 seconds to allow steam to wash sugar crystals down sides of pan. Meanwhile, line cookie sheets with wax paper. Stir mixture and bring to a boil that can't be stirred down for 1 minute. Remove from heat and stir in peanut butter until smooth. 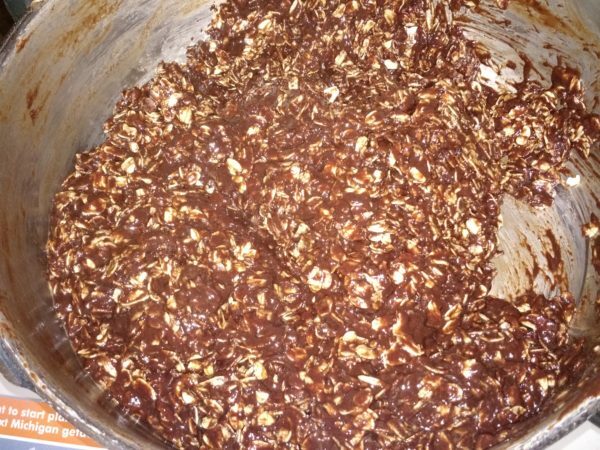 Add oats and stir to mix well. Drop by small cookie scoop onto wax paper. Refrigerate. You can also pour this mixture into a 9" square pan that has been greased, let cool, then cut into squares. Crepes are so versatile! They can be used for breakfast, lunch, dinner, dessert or a snack! 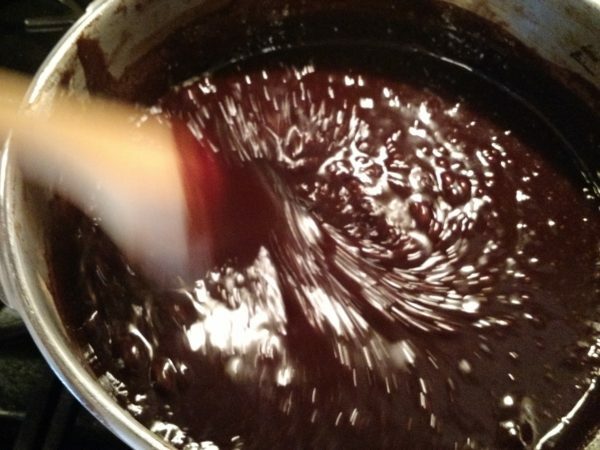 This is a very good basic recipe that is based on the recipe from www.chef-in-training.com. 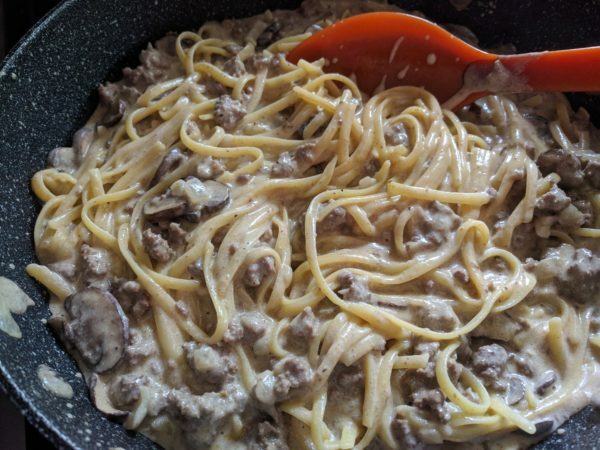 I liked it better than the other recipes I tried, so I am sharing it here. We had a Create Your Own Crepe bar for Mother’s Day. My favorite was this crepe with a cheesecake filling, some sliced strawberries and some mini chocolate chips. There are so many possibilities! Other options we offered were puddings (chocolate, French vanilla, banana), Whipped topping, Chocolate Sauce (it hardened and we couldn’t get it out of the bottle easily! ), Blackberry Jam, cinnamon mixed with powdered sugar, and powdered sugar by itself. It turned out great! We also made some chocolate crepes, but I preferred these to the chocolate ones! 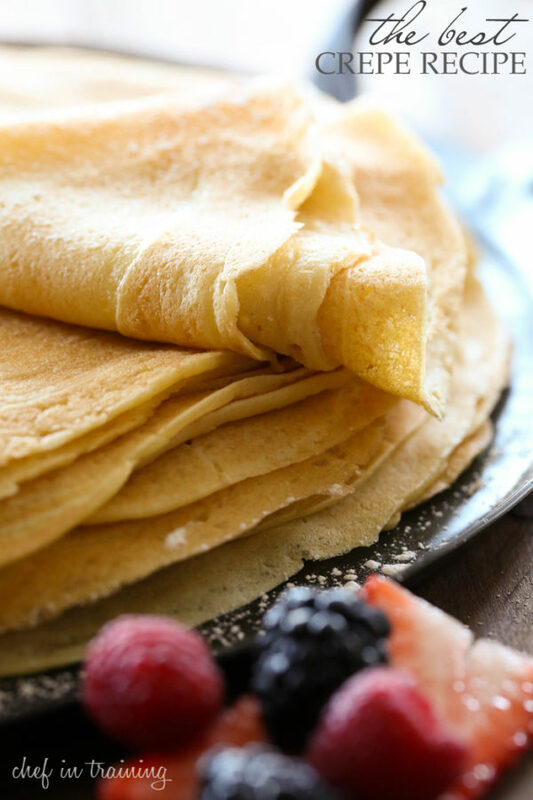 The batter can be made up a day or two ahead of time, and/or the crepes can be made up ahead of time and put back on the griddle for just a few seconds per side to reheat. In a large mixing bowl, whisk flour and eggs. Slowly add milk and water stirring until smooth. Add salt and butter (and sugar if making dessert crepes) and continue whisking until smooth. (You can also just dump everything in a blender and blend until smooth.) Refrigerate in a covered container for at least 30 minutes. Heat oiled pan to medium high temperature. Pour about 3-4 T. of batter into pan and tilt the pan to swirl in a circular motion so that the batter coats the surface evenly. Cook crepe for about 1-2 minutes until the bottom is light brown. Loosen with a spatula, and turn. Serve hot and fill or top however you desire. 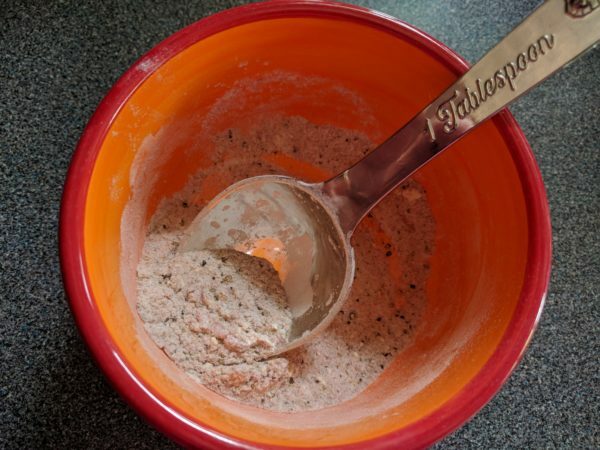 I make up a bunch of this seasoning mix and store it in an airtight container, so it is really easy to make on a busy day! Place chicken in a Ziploc bag with some milk. Let set for at least 20 minutes. Preheat oven to Speedbake 400 degrees. If you do not have a Speedbake, you might want to bump it up to 425. Place 1/2 stick of butter in a cookie sheet with sides. Melt butter in oven as it is preheating. Make sure there are no dry spots on the pan. 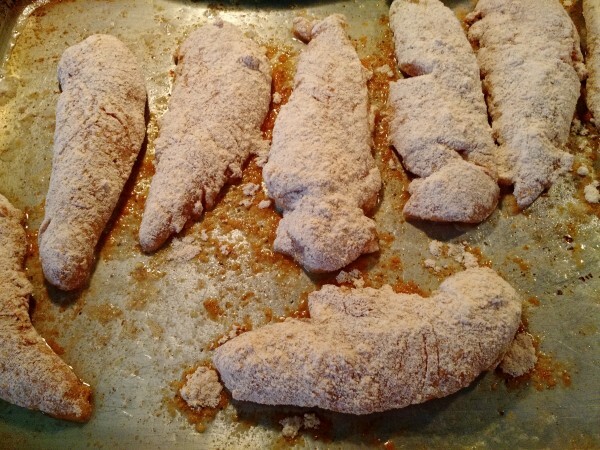 Shake excess milk off of chicken and completely coat each piece with the seasoning mix. You can either shake the chicken in a bag, until coated, or dip each piece in a bowl until coated. Cook 15 minutes. 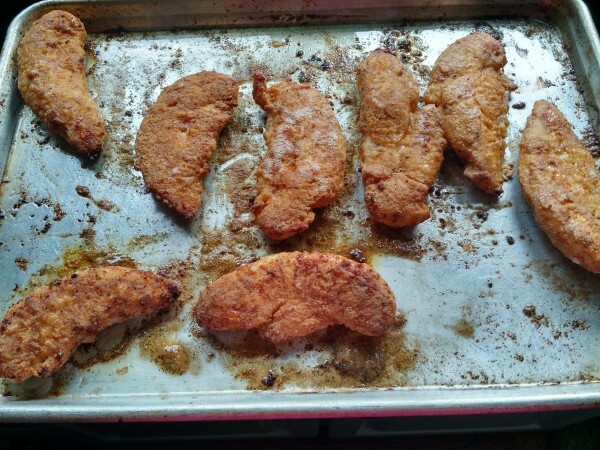 Turn each piece of chicken and continue cooking for 10 minutes, or until cooked through. 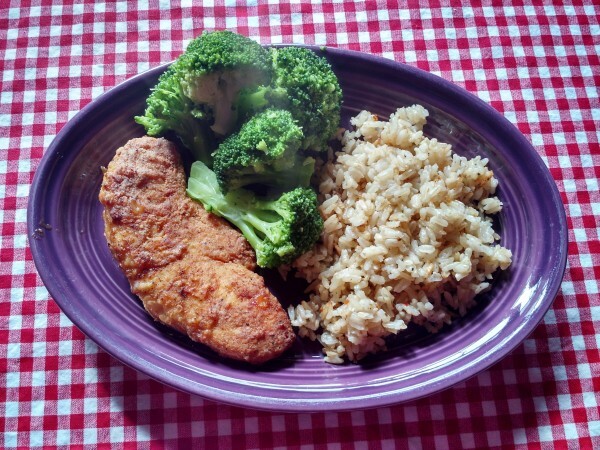 I served mine with broccoli and seasoned brown basmati rice. Although spelt is actually a type of wheat flour, most people with wheat allergies can digest spelt flour with no problem. Obviously, you should not eat spelt if it is a problem for you. This is a great meal when you have had a busy day. It is much healthier than the box mix that you can buy at the store, but doesn’t take any longer! Heat a large skillet over medium high heat. Add the oil and brown the ground beef. 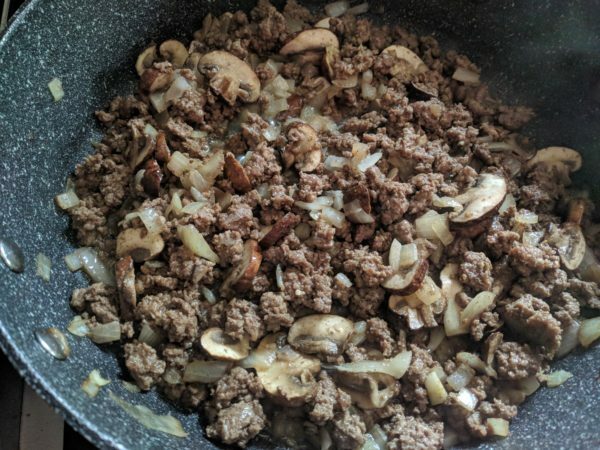 As the beef is cooking, slice the mushrooms and add the mushroom slices to the partially cooked ground beef. Combine the seasonings as that finishes cooking. 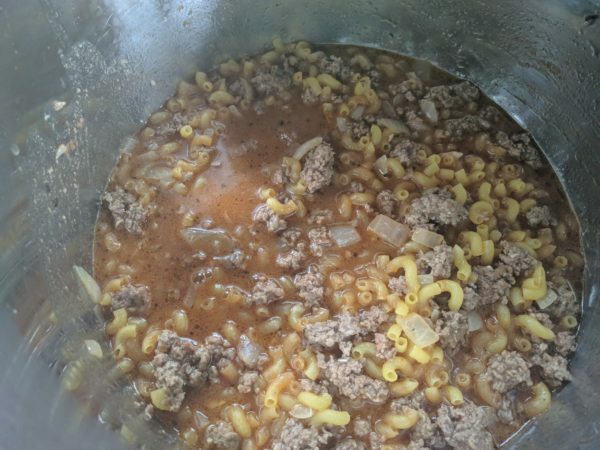 Add all other ingredients, except sour cream, to the cooked beef. Stir to combine and cover. Bring to a boil, then lower heat to medium low and allow to simmer for 10-12 minutes, or until the noodles are cooked through. The time may vary depending on the type of noodles you use. Read the directions on the package. 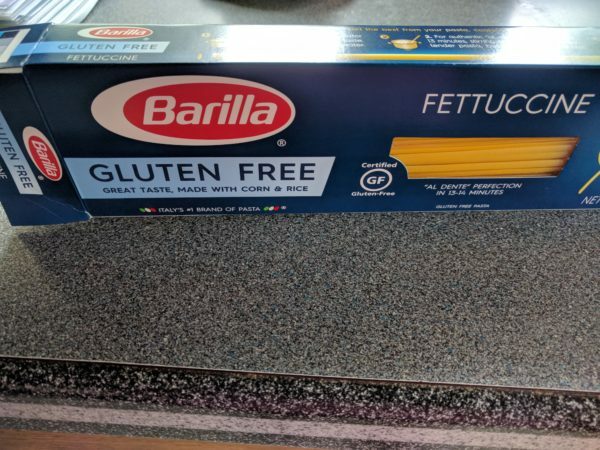 This gluten free Barilla fettuccine takes 13-14 minutes, but white spelt pasta takes 7 minutes! Add the sour cream and stir. If it is too watery, let sit for 5 more minutes. Serve immediately. These are easy and only use 2 bowls (not 4 like the recipe I used to make)! In large bowl, mix together dry ingredients; set aside. Preheat waffle iron. In a separate bowl, beat the eggs. Stir in the milk, butter and vanilla. Pour the milk mixture into the flour mixture; beat until blended. Generously spray your waffle iron with no-stick cooking spray. Ladle the batter into a preheated waffle iron. Cook the waffles until golden and crisp. Combine flour, baking powder, salt, cream of tartar, baking soda, and milk powder. Cut in 1/3 cup butter. Add milk and cheeses. Stir together until soft dough forms. 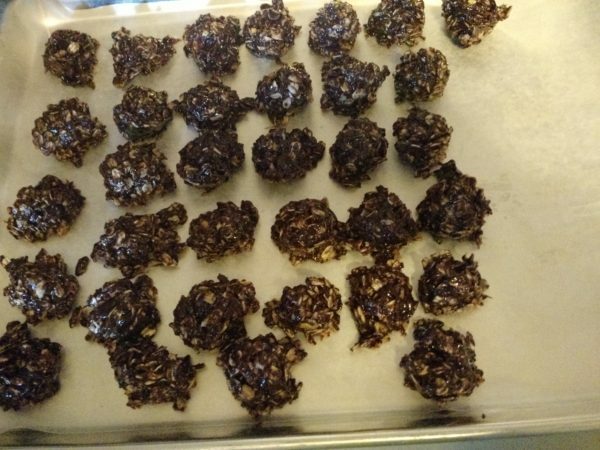 Drop by spoonfuls on a greased cookie sheet. Bake for 10-12 minutes. While the biscuits are baking, melt butter and stir in garlic powder and parsley flakes. Brush over warm biscuits. You can also use 2 cups baking mix (like Bisquick) instead of the flour, baking powder, salt, cream of tartar, baking soda, nonfat dry milk and 1/3 cup butter. Thick and creamy, uses up your leftover baked potatoes. Or make extra potatoes for this soup! To make this gluten free, just substitute 1/3 cup cornstarch or potato starch mixed with some of the milk in place of the flour. Bring the rest of the milk to a boil, then slowly add the cornstarch mixture and stir to thicken. Or sorghum flour works great for soups and sauces. In a soup kettle or Dutch oven, melt butter. Cook onions and celery for a few minutes. Stir in flour. Heat and stir until smooth. Gradually add milk, stirring constantly until thickened. Add potatoes. Bring to a boil, stirring constantly. 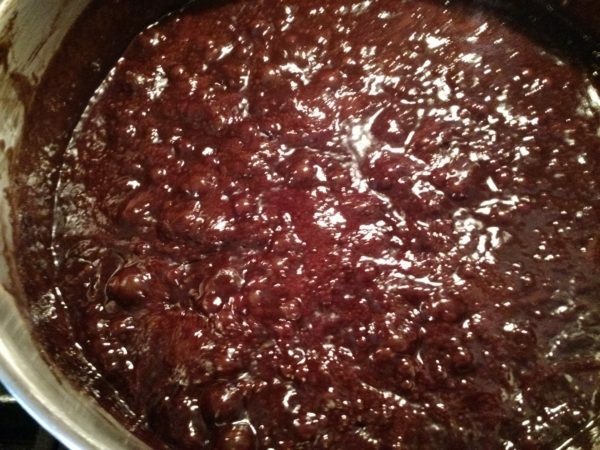 Reduce heat and simmer 10 minutes. Add bacon, cheese, sour cream, salt, and pepper, and stir until cheese is melted. Or sprinkle cheese and bacon on top as a garnish.